People who have been infected by influenza are generally contagious for six to 24 hours before symptoms appear, meaning that staffers could be treating patients for up to a full day before they know they may be spreading the virus. “Someone could become infected and transmit infection to one of the patients,” said Dr. Michael Ison, infectious-diseases specialist at Northwestern Memorial Hospital. 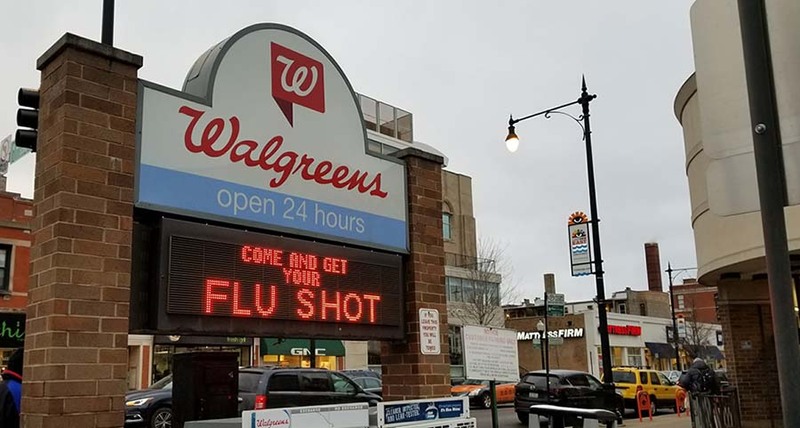 Nearly half of all cases of influenza reported in Chicago this season involved citizens 65 or older, according to a report released by the Chicago Department of Public Health. In addition to a sustained prevalence of influenza A cases, the total number of reported influenza B cases increased by over 50 percent within one week, according to public health influenza updates. Staffers from a number of skilled-nursing facilities spoke this week about their employee influenza-vaccination practices. “I didn’t get the flu shot, and I didn’t get sick,” said Renee Hernandez, the director of nursing at Bethesda Rehab & Senior Care in Montclare. She said that when patients at her facility catch influenza, the staff try to work on single floors to avoid transmitting the virus between groups of residents. At Wesley Place, a rehabilitation center in Andersonville, most staff members have gotten the vaccine, but it is not mandatory, according to director of nursing Rose Policarpio. Park View Rehab Center in Edgewater does not have a staff vaccination requirement, according to administrator David Zaruba. He said that while they strongly encourage staff to get vaccinated, they are not able to require it. “I know there’s a push for that, among a number of different facilities,” he said. Employees of New Age Elder Care travel between clients and offer home healthcare. Staff members have been sicker than in prior years, said director of nursing Yelena Artichtchev. She said that they are not required to get vaccinated. “We do ask them, but we do not make it mandatory,” she said. Influenza-linked ICU hospitalizations so far this season have surpassed total hospitalizations of each year since the 2010-2011 season, according to the public health influenza update report. The Chicago Department of Public Health could not be reached for comment.